My daughter has Sensory Integration Disorder and she hadn't worn shoes for the last 2 years. When your kid won't wear shoes, as you all know, you have a problem- they can't go to school to parties, etc. 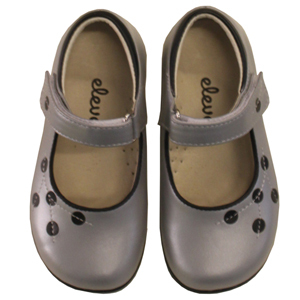 Anyhow, I finally found some shoes from "Eleven" that she will wear (in fact she won't take her shoes OFF now, so that is another battle) and I thought I would share in the hopes that it would help your children. They are really cute too! Good luck with all your SID kids! !